You don’t read this book, it reads you. Published before his move to PSG, I Am Zlatan Ibrahimovic deals with Zlatan’s early life in the Malmo suburb of Rosengaard and his career in football, his thoughts and emotions during the high points and the low points. Ibra, as he became nicknamed when he first when to Italy to play for Juventus, had a rough upbringing, split between the homes of his Bosnian father Sefik who had an alcohol problem and his Croatian mother, Jurka, who worked hard to raise Zlatan and his siblings. As a child, there was no “pass the milk, dear” and Zlatan was something of a recluse as a child, however, he loved watching Marco van Basten and Ronaldo. He knew of Cruzeiro, the former club of his close friend, Maxwell due to Ronaldo. Zlatan stole bikes as a child and performed poorly in school, he was singled out for this. The parents of his clubs said he didn’t fit in and should be moved on, but Ibrahimovic continued to work hard and did his thing. That is the main insight into his story. He experiences raw emotions that we all do, wanting to impress, wanting to win, feeling down, not yourself, lonely, but like he says he dealt with it his way and it worked for him. His advice is for readers to do the same, they shouldn’t be like him, but they need to be themselves and do what is right for him. We learn how he went from being a shy, awkward teenager to one of the world’s biggest sporting stars as his philosophy, what was dear to him pushed him in. He describes his philosophy as being both wild and disciplined at the same time and admits somethings did not go the way he would’ve liked but he stuck to his beliefs and got the rewards. Ibrahimovic would have been a fan of Aristotle’s Virtue Ethics. He juggles extremes and reaches a perfect compromise after all. The story is inspirational but also very interesting, showing an up-close insight into the dressing rooms of the biggest clubs in world football. He discusses at length, his relationship with his Mino Raiola, his agent, his bosses in Fabio Capello, Jose Mourinho, Pep Guardiola and his run-ins with the press and his teammates. His disagreements with Rafael van der Vaart and Oguchi Oneweyu are discussed at length in a frank and honest manner. It does so much to gain an understanding of the mind of footballers at crucial moments. His discussion of his relationship with his family and his long-term partner, Helena Seger gives another insight in just how personal experiences can mould professional character. 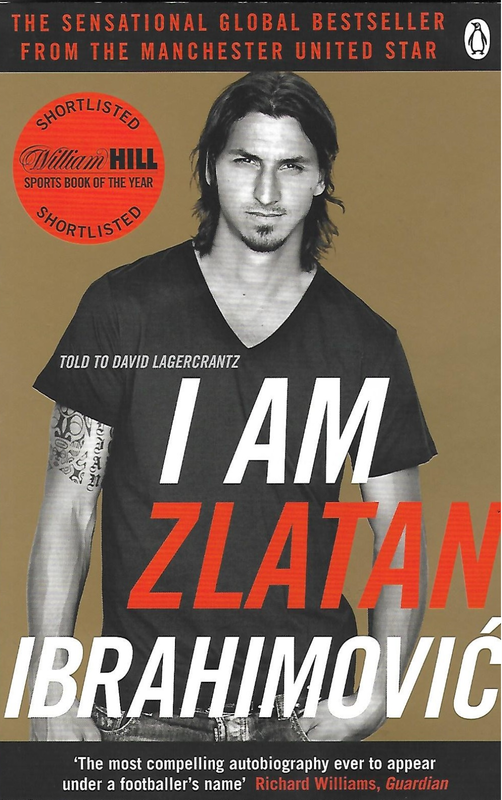 Zlatan allows his mind to be picked apart by David Lagercrantz and the book is thoroughly addictive and engaging. There is nothing I would like to change about this book. After all, as Ibrahimovic would argue, if there were any mistakes by some miracle, they would just update the dictionary and how they think about literature. His outlandish statements become a lot more understandable after reading this book. A definite must-read for football fans.